With over 30,000 questions, 11 Plus Practice Online can significantly boost your child's chances of success in the 11 Plus exam. 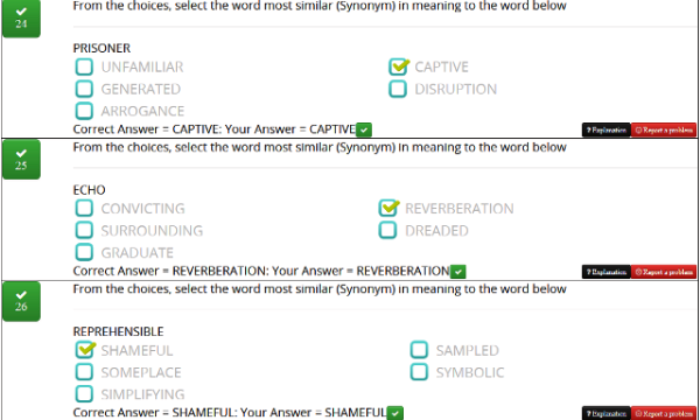 There are separate practice tests in Verbal Reasoning, Non-Verbal Reasoning, Maths, English and Vocabulary. 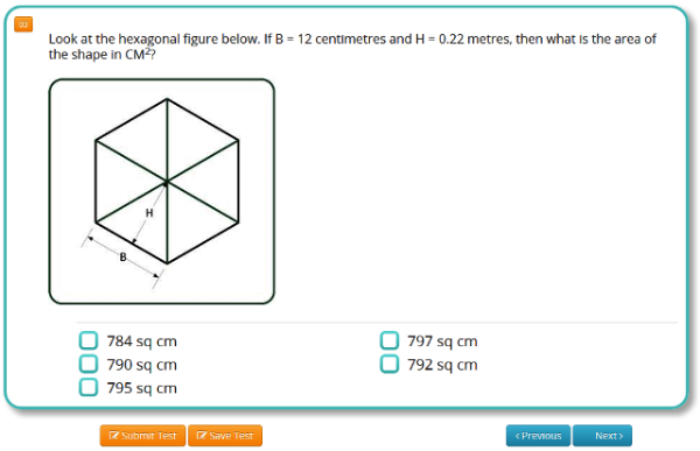 There is also a Combined Test and the option to practise specific topics. The 11 Plus Practice Online portal is easy to use and reliable. It provides immediate test feedback and children can even print achievement certificates. The tests are all timed, encouraging children to focus on speed as well as accuracy. Register today for 11 Plus Practice Online for unlimited access to the practice tests until 30 September, 2019. Your child's confidence will grow as they see how their scores improve and times come down. Parents can see where their child's performance is strongest and where there is need for further improvement. As there are separate tests in the different skills, plus the option to practise specific topics, your child can focus on areas needing more practice. Once submitted, tests can be reviewed instantly. You can see which questions were attempted and how many were answered correctly. 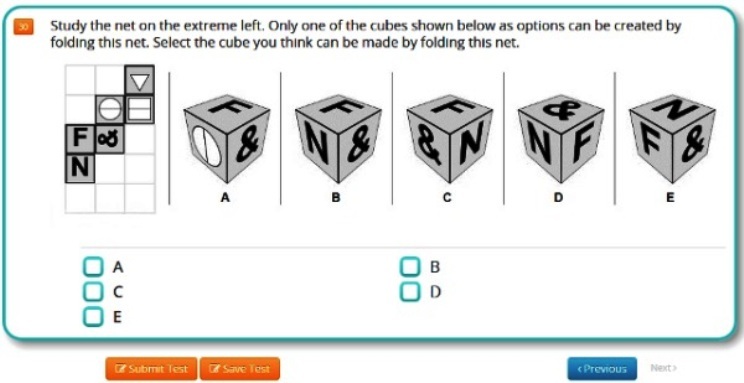 You can see how long it took to complete the test. For many questions, there is an explanation of the correct answer, which can also help parents support their child's learning. 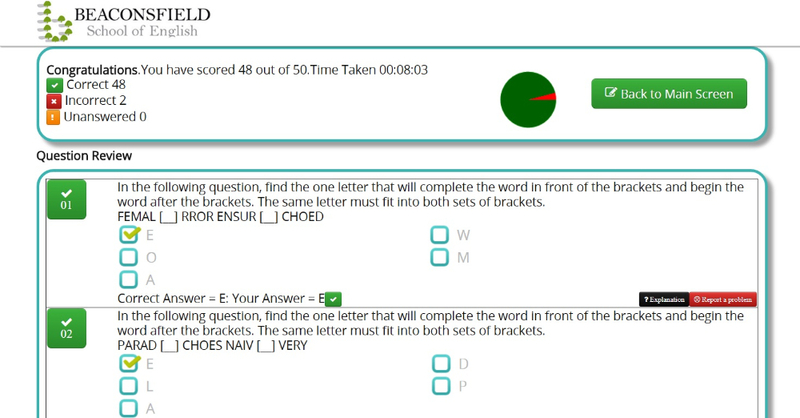 New tests are generated randomly every time, so no two practice tests are the same. Children log in with a unique Username and Password, which can both be saved. Your child can then create a new test, continue a part-completed test, or review a submitted test. 11 Plus Practice Online is a flexible, highly effective, easy-to-use and cost-efficient way to help your child prepare for the 11 Plus. Children find the tests stimulating, challenging and enjoyable. "We have been very pleased with the tests she has completed so far." "The level seems good, the vocab suitably stretching and we like the timing facility with the ability to go back and review progress." "I think that it will be a key tool for practising more and more." "I have sent payment for renewing 11 plus practice online. Million thanks!" "The online tests are really good, really useful." "She has been using it regularly and found it very beneficial in her journey in preparing for her 11+ exams." It's quick and easy to register. Just enter your child's first name in the text field below - we will make this the display name. Then click on the Buy Now button.